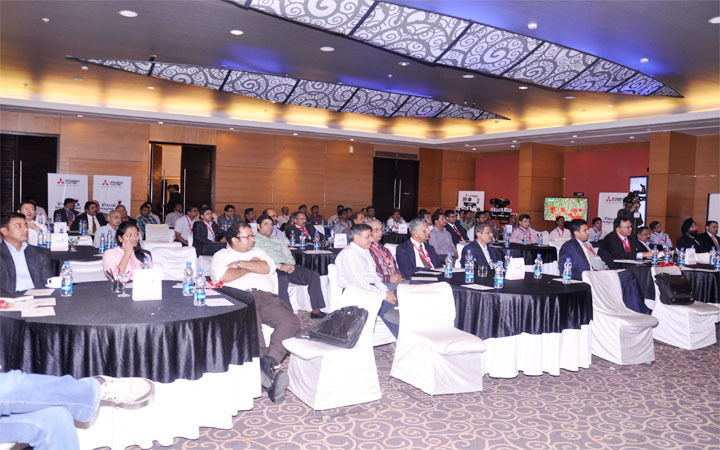 Dealer Meet Organiser ! Conference organiser in Delhi NCR ! Noida Agra ! Role of Event Management in Sales and Marketing ! Sales are the activities related to selling or the number of goods & services sold in a given time period. It is part of marketing. To increase sales a part of event management is also very important and it is BTL, Activation, Branding, Brand management, Sponsorship, Product launch, press conference, Virtual product launch, Sampling, advertisement, etc. Now brand management, sales meeting, dealer meets, and other sales related occasions, can be manage by hire4event. It means event management in sales and marketing is necessary to do it in better way. We are one of the top event company which is good in dealer meet, product launch , sales meetings, conferences, seminar in every corner of Delhi, India. Hire4event is best Dealer Meet Organiser in Delhi NCR region. Marketing is the art & science of choosing targets markets. And getting, keeping & growing customers through creating, delivering & communicating superior customer value. Sales in Event Industry means selling your event services to desired customers. Whatever product or service you’re selling, need to focus on communicating the benefits of your product or service. The benefits may be tangible or intangible. But you have to take care of convenience of individual consumer. The ability to build long-term relationships with customers one at a time. Ability to listen & stay in tune with the needs of the customer. Not promising what they can’t deliver. Self-motivated & a positive attitude. Constantly looking for ways to promote products & services. It is the coordination of people & resources to effectively produce the desired goal. To achieve these objectives, sales managers have vast responsibilities. The most important role of sales management is not to manage sales but to manage the people who make the sales. The tone & culture of the sales team created by sales management can help to generate passion & boost moral among individual respectively. Pre-scale preparation = salesperson’s knowledge about product, company, & competitor’s. Prospecting is the development of prospective customers that are in the market to buy your products or services. First you need to identify & define prospects, then search sources of potential accounts. After that you need to qualify the prospects from the suspects. Aggressive selling: the bottom line in this type of selling is that if the prospects walks, the sell is lost. Transactional selling: it is focused on making quick sales because there is no attempt to form a long-term relationship with the customer. Consultative selling: this approach depends on developing a long-term relationship with the customer. Collaborative selling: it takes relationship selling one step further & depends on partnership mentality between buyer & seller. Alternative Choice: also called the positive choice close, in which the sales person presents the prospects with two choices, both end in a sale. Apology close: in which sales person apologize for not yet closing the sale. Assumptive close: also called presumptive close, in which the sales person intentionally assumes that the prospect has already agreed to buy & wrap the sale. The Negative Assumption close: in which the salesperson ask two final questions, repeating them until he/she achieves the sales. Direct close: sales person are discourage from using the technique unless they are very sure the prospects is ready to commit so, they directly ask the prospect to buy. Indirect close: also known as question close, in which the sales person moves to close with an indirect or soft question. Balance sheet close: also known as Ben Franklin close, in which the sales person & the prospect build together pros-cons list of whether to buy the product, with the sales person trying to ensure the pros list is longer than of cons. The Cradle to Grave close: in which the sales person undercuts prospect objection that it is too soon to buy by telling them there is never a convenient time in life to make a major purchase. Minor point close: in which the salesperson deliberately gains agreement with the prospect on a minor point, & uses it to assume that the sale is closed. Puppy Dog close: in which the salesperson gives the product to the prospect on a trial basis to test before the sale is agreed upon. The Sharp Angle close: in which the salesperson responds to a prospect question with a request to close.